Normally, you only go half way around the world by plane. Or by ship – or by smart. By smart? Correct. 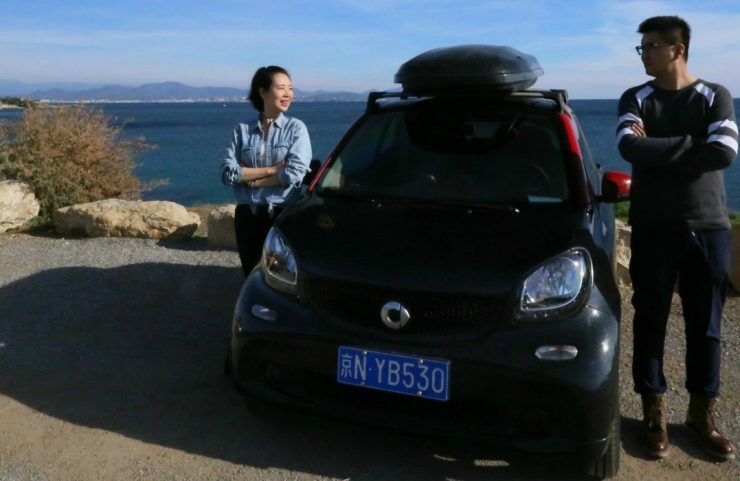 Jessie from car2go China and her boyfriend did the 35,000-kilometer journey in a two-seater smart. “Long car journeys are my passion. 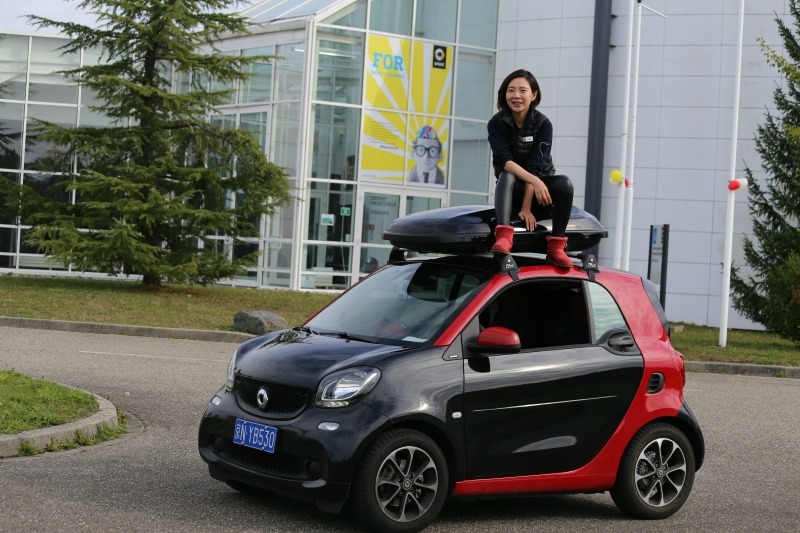 Once I had the idea in a meeting to drive a smart from Beijing to the smart production site in Hambach as a marketing gag, when I was in smart marketing team. But the idea never became reality – I mean a smart is no long-distance vehicle. Let’s be honest. But the idea wouldn’t let go of me. My friends said I was crazy: “The smart is such a small car! How are you going to drive so far in that? It’ll break down in the first 1,000 km.” Bin Liu, my boyfriend, on the other hand shares my passion. -After I joint car2go, we kept learning from the car2go cities in Europe, and I always thought about if there is a chance to have a look at all the car2go cities that would be fantastic. 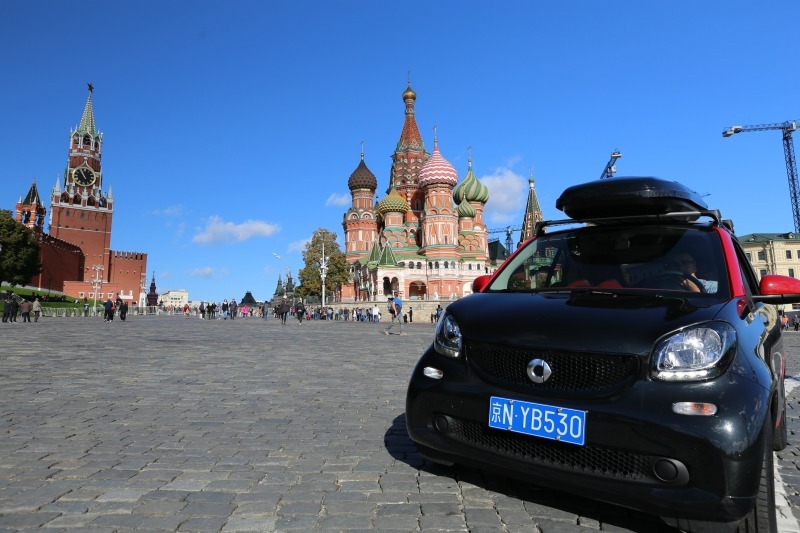 Inspired by the smart brand story ‘to challenge the status quo’, we decided to dare a trip from Beijing to Europe, by ourselves with a smart fortwo. Destination: Berlin. You’ve already overcome the biggest hurdle when the decision has been made, according to a proverb. And it’s true: The preparation was actually quite easy. We bought a new smart, requested three months’ sabbatical, organized our visas – did you know that a car also needs a visa and you can’t leave China by car without one? – packed our things (three outfits each, a few camping basics and instant food; not much fits into a smart) and planned the route. We would be sleeping in hotels – or in the tent if necessary. And then off we went, from China through Russia and to Europe. We arrived at the Russian-Chinese border after about 2,000 km. I didn’t know anything about Russia beforehand so our trip was a journey into the unknown. We waited at the border for 14 hours before we were allowed to cross. Apparently that’s normal there. In these 14 hours, we noticed that we’d come to a completely different culture. The people there had also never seen a smart: One of them banged on the roof and said “What on earth’s that? Is that a car … made of plastic?” They barely spoke any English and tried to communicate with us using hand gestures. We talked about our intention to drive to Germany in a smart with the help of Google Translate. During our long drive through Russia we only stopped at gas stations and hotels. Our food stops consisted of 38 gas station hot dogs and borscht, a Russian national dish – because when you don’t speak the language and the internet connection for Google Translate lets you down, you can’t order what you want. 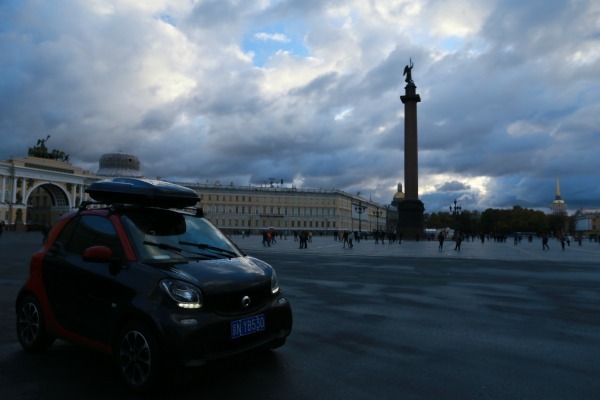 Jessie from car2go China has traveled with her fortwo from Peking to Helsinik. In the second Part she explores Europe. Of course in her smart.